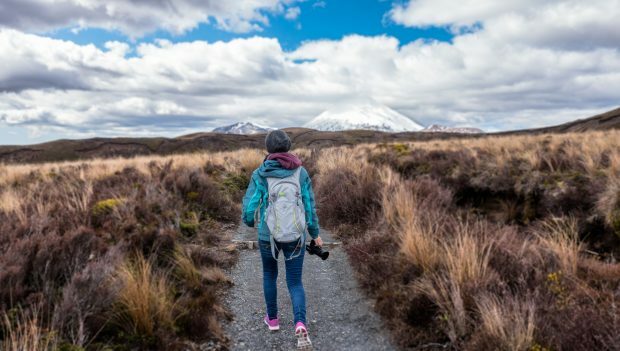 Perhaps you clicked on this headline eager for the answer that’s been plaguing you since you decided to step up your point-and-shoot camera for a DSLR camera. What camera should I buy? 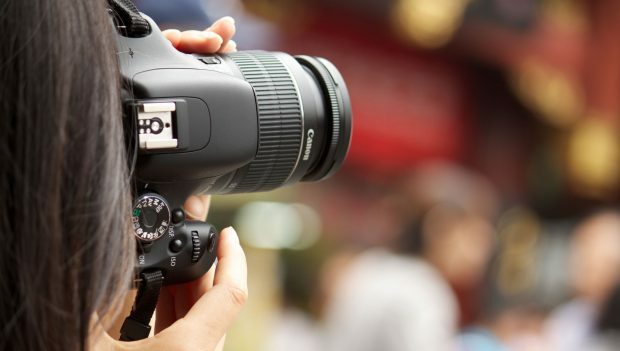 What’s the best beginner DSLR camera? And we could comb through all the options and shine a light on one particular model, then you’d go out and buy that camera and get started and, more than likely, do just fine. But there’s a problem with that. First, the best beginning DSLR camera for a beginning portrait photographer isn’t the best camera for the beginning sports photographer. Cameras aren’t a one-size-fits-all deal. But there’s another issue too—learning how to choose a camera is a great first step to learning about photography and how to become a photographer. Great cameras don’t take great pictures any more than a great paintbrush painted the Mona Lisa—you need creativity, and you also need to know how to use that camera. And the best way to learn how to use your camera? Start by learning how to choose a camera. Don’t worry, those tech specs aren’t as daunting as they seem. For a more detailed breakdown, be sure to check out the full free course on choosing your first DSLR camera. Ready to use your new DSLR Camera? Sign up today to learn the basics of photography with John Greengo. Learn more. Should you buy a Nikon or a Canon? Or perhaps a camera from a smaller brand, like Pentax or Sony? What features make a camera the best entry-level DSLR? Brand is a bit more important when buying a DSLR compared to a compact camera because once you start acquiring lenses and accessories, it becomes rather expensive to switch. But that doesn’t mean one brand is better than the other. Nikon makes great DSLRs. Canon makes great DSLRs. Pentax makes great DSLRs. And so does Sony. Sure, one year it seems like one brand is beating out the competition with every camera they release—but the next year, it will likely be the other way around. Brand matters, but probably not in the way you think. Choose a camera based on its features, not its brand. Then, before you buy, explore the different lenses and accessories that are available. If you want to learn how to take wildlife pictures, for example, make sure the camera you choose has a compatible telephoto lens. That’s where Nikon and Canon are great, because they’re so popular and well-established, that there are plenty of lenses, flashes and other accessories to choose from to add on to the camera body. That doesn’t mean you should stay away from smaller brands though; Pentax also makes some great cameras with features like weather sealing that are tougher to find at a similar price point from the bigger manufacturers. When you take a digital photograph with a digital camera, light enters through the lens, then hits the sensor—it’s that sensor that records the image. Sensors come in all different sizes. The sensor in your smartphone’s camera is very small, while a DSLR camera sensor is much larger. Larger sensors are better for a number of different reasons. First, images captured on a larger sensor have a higher resolution, because a larger sensor equals a larger photo and better image quality. Bigger sensors also handle low lighting scenarios better. Even when the amount of light coming into the camera doesn’t change, a larger surface area allows the camera to collect more light. Larger sensors also make it easier to get soft, out-of-focus backgrounds. When it comes to DSLR cameras, there are two options for sensor sizes. APS-C is the smaller type and the option that’s typically best for entry-level DSLR photographers. An APS-C sensor is usually plenty for new photographers to work with, and they’re often found on cameras that are easy to use and much more affordable. A full frame or 35mm sensor is a bit larger—these cameras are usually considered professional DSLRs. They offer more resolution, but also a much higher price tag. If your camera budget exceeds $1,500, they could be an option, but a full frame camera is likely overkill for most beginners. So why mention it at all? 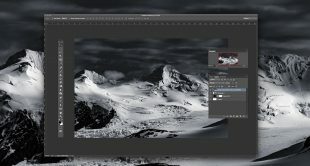 Most lenses are sold for either full frame or APS-C sensors, so this is another scenario where changing later on may require updating your lenses too. While sensor size is important, sensor design is too. Backlit sensors are designed with most of the gear and the circuitry at the back, so it’s easier for the light to reach the sensor. Sensors that are backlit perform better in low lighting than sensors that are not. Many manufacturers are now also eliminating what’s called the optical low pass filter or sometimes the anti-aliasing filter. This filter helps prevent distortion in patterns called moire—the most common example is a shirt with fine stripes that start to bend and whirl together when photographed. Sensor technology is allowing some of this distortion elimination to be done without the use of that filter. Why is that important? The filter is one more thing between the sensor and the light. Cameras without the optical low pass filter tend to have more detail and richer colors. Many camera manufacturers are doing away with the filter entirely, like in most of Nikon’s newer DSLRs. Canon’s approach has been to make two different models of the same camera, one with the filter, and one without. That enhanced detail is a big help, though if you would like to do a lot of fashion photography or product photography for a clothing boutique, that extra moire prevention may be the better option. Megapixels: Are they really important for an entry-level DSLR? Too many people buy cameras on megapixels alone—and that’s a horrible way to decide on a new camera. But, that doesn’t mean that they’re not important. Megapixels determine how much resolution your camera has. The number of pixels along one side multiplied by the number of pixels on the other side gets you a megapixel count. Cameras with more megapixels produce higher resolution images, so you can print bigger photos or crop without ruining the photo. Megapixels are not as important as sensor size in determining image quality. That 42 megapixel smartphone still isn’t going to beat out a DSLR, even if the DSLR only has 16 megapixels. 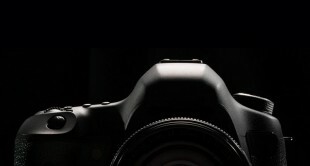 But, since we’re looking at DSLRs for beginners, let’s assume all the sensors are APS-C size. Then, the camera with more megapixels will have the higher resolution. Keep in mind that a higher resolution doesn’t necessarily mean better images. Cameras with high megapixel counts are more prone to noise at high ISOs, although many modern cameras have high megapixels with excellent noise reduction. One more thing to consider—more megapixels means bigger image files. That’s certainly not a deal breaker, after all bigger files are more flexible in post-processing. But, keep in mind that you’ll want bigger SD cards for high megapixel cameras, and also a pretty large hard drive to store them on too. Shooting speed: How fast can you snap? How fast can you take a photo? Choosing a camera with good speed is essential for sports photographers, but speed is good for any photographer who’s interested in continuous shooting. If you’re a parent taking pictures of your kids, speed is essential for capturing the action. If you’re a budding portrait photographer, speed will help you capture the best expressions. A camera’s speed is a bit harder to measure on paper, however. 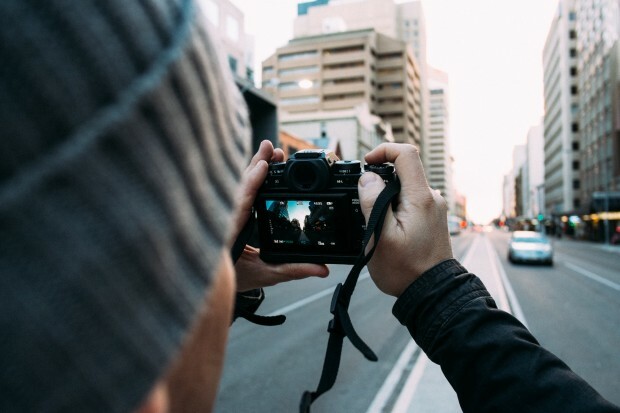 A good indication of a camera’s overall speed is the burst speed, or the number of photos it can take per second (or fps) if you continue to hold the shutter release. There’s a lot of gear that has to be moved every time a DSLR camera takes a picture—like the mirror mechanism that even the best mirrorless cameras don’t have, for example. And there’s also those big images to consider—it takes some time for a camera to process digital images, especially ones with a higher megapixel count. Because of all this, most DSLR camera’s have burst speeds around 5 fps—they can take five images in one second. A 10 fps burst speed is an excellent speed for a DSLR camera. The more photos a camera can take in one second, the more likely you are to capture the shot at the perfect moment. But, burst speed is also a good indicator of how fast the camera operates in general. How much speed do you need? DSLRs with 10 fps burst speeds are excellent for capturing sports, as well as anything that moves quickly, like wildlife or little kids. A faster burst speed will increase your chances of capturing the perfect moment, but you can certainly still shoot little league games and other sports with 5 fps if there’s not enough room in the budget for a faster camera. One more speed to consider—the maximum shutter speed. The shutter speed determines how long the camera’s shutter stays open to capture the picture. Budget DSLRs typically have a 1/4000 shutter speed—that’s plenty fast enough to freeze action and works for most types of photography. More advanced models will hit speeds of 1/8000 or even 1/16,000. Keep in mind though, that a shutter speed that fast requires a lot of light. Those top shutter speeds come in handy when shooting outside on a bright day with a wide aperture camera setting without overexposing the shot. Learn more about how this all works with the best-selling Fundamentals of Photography course. Buying a camera isn’t about finding the best one on the market—it’s about finding the best one for your style and your budget. There are several DSLRs on the market that cost the same as a small car and are packed full of the top features, but there are also several for just a few hundred dollars that do a pretty good job and have a feature set that’s ideal for beginners. Entry-level DSLRs are available for as little as $300 for an older model, though $500-$1,000 is a bit more realistic. The price heads up from there as you add features, like faster speeds and more megapixels. You can also save a bit by buying a DSLR that’s not the current model. Older DSLRs are still great cameras and sometimes you can pick up an older mid-level DSLR for the same price as a newer entry-level DSLR and get more features. Be careful though to compare features carefully, newer cameras often get a boost in image quality as technology improves. There’s usually not much difference in models that are a year old, but more than two years old and there’s often a noticeable difference in image quality. Kit lens or camera body only? Once you decide on a DSLR, you have one more choice to make—buy the kit, or camera body only? Most beginners buy a DSLR camera with a kit lens. Kit lenses are great because they often cover the most common zoom range, usually 18mm to 55mm. They’re inexpensive and a good way to get started in photography. Kit lenses are often a bit limited, however. Most kit lenses have a maximum aperture of around f/3.6. What does the aperture do, you ask? Aperture determines how wide the opening in the lens is. A wider aperture, like f/1.8 is better for taking photos in limited light or getting a softer, out-of-focus background. Upgrading to a f/1.8 or f/2.8 lens often makes a big difference in image quality, however, it is significantly more expensive than opting for the kit lens. The Nikon D3300 is great for getting into photography without a huge price tag. It’s the cheapest camera Nikon makes, but is a good starter point since it’s simple to use. Want to learn how to use this camera? Good news, we have a fantastic Fast Start course for this specific camera model. DSLRs from smaller manufacturers shouldn’t be overlooked. The Pentax K-S2 has an excellent price, along with features that are hard to find on entry-level models, like weather-sealing and wi-fi. The Canon EOS T6i is an affordable DSLR that still includes features like wi-fi and a tilting touchscreen. The Nikon D5500 is the D5300’s big brother, with a tilting LCD screen, wi-fi and a better autofocus system, but similar specs where it really counts in image quality and speed. Canon’s EOS 7D Mark II is the fastest APS-C DSLR camera currently on the market with a 10 fps burst speed. It’s pricer than most entry-level models, but that speed may be well worth the extra expense for sports and other action. Whichever entry-level camera you buy, one thing remains constant: you will only be able to use it to take quality pictures if you take the time to understand the camera’s buttons, features, and menus (everything from its battery life to the electronic viewfinder or built-in wi-fi and low light). If you have a DSLR camera, but don’t know how everything works on it yet, chances are CreativeLive has a Fast Start course on it. These short video guides are so much better than trying to read the manual and manual controls. There isn’t a one-size-fits-all best DSLR camera for beginners. But, there’s a handful of excellent options on the market that are well-suited for inexperienced photographers, some faster or with more features. 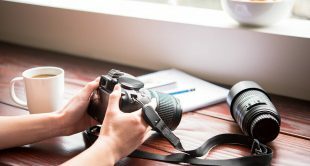 And by learning how to choose a camera, you’ll have a good start to learning just how to use that camera with this popular photography for beginners course. What is a Tilt Shift Lens, and What’s the Big Deal? Hillary K. Grigonis is a web content writer and lifestyle photographer from Michigan. After working as a photojournalist for several years, she made the leap and started her own business and now enjoys sharing tips and tricks with emerging photographers.